Activation-based solutions such as CmActLicenses are very much state-of-the-art. Hardware-based solutions like the CmDongle, on the other hand, have often been declared a thing of the past, but every now and then they too enjoy a renaissance. In the meantime they have certainly become an indispensable component of solutions across many fields and industries. Generally speaking the advantage of a dongle for the customer lies in license portability. That is, the customer knows exactly where the license is: in the dongle. When he works on another computer he simply takes the dongle with him and plugs it in there. If, for whatever reason, he urgently needs a license, there’s nothing quicker than an activation-based solution which enables the license over the network. CodeMeter combines the important characteristics of CmDongle and CmActLicense to provide a unique, best-of-both-worlds solution (i.e., transparent and transportable software licenses and quick online programmable dongles). 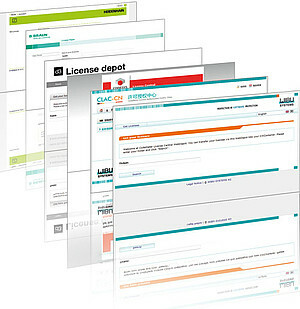 License Central WebDepot, which is adaptable to individual needs, plays a key role here. WebDepot is a web-based application accessible via the Internet. It provides an interface for your users to the CodeMeter License Central. A PHP version of WebDepot exists for the Apache web server. The end of 2012 will see the launch of a .NET version for IIS (Internet Information Server). The user can access WebDepot via any browser in order to single-handedly transfer licenses to both a CmActLicense and a CmDongle. The license is transferred directly to either a local computer or a CmDongle plugged into the local computer. An optional functionality allows the customer to download a license file and subsequently transfer the license offline to another computer or CmDongle. Other options which can be integrated into WebDepot include functions to handle returned licenses and to compute an activation code for code-based (telephone) activation. These two options are not included in the standard scope of delivery. Why does WebDepot increase security? For security reasons, CodeMeter License Central implementation is based on diversity. In other words it deploys a broad spectrum of technologies. The same concept is used, for example, in control systems for ships and nuclear power stations: If a systematic error (i.e., one which also occurs in a second identical component) causes one technology to fail, a second technology takes over to maintain safe operation. In the case of CodeMeter License Central this concept protects you from intrusion, data theft and unauthorized license generation. The Apache web server or IIS is located in the DMZ and hosts WebDepot. A tomcat behind the internal firewall processes requests from WebDepot. If a hacker detects a systematic error, he might well gain access to (exploit) the web server including WebDepot, but he can’t get any further than that. Your database or Firm Security Box are safe, thanks to the internal firewall which makes sure the computer running WebDepot only communicates with the tomcat via the web service. The hacker would need a second exploit for the tomcat to further penetrate the system. Our hosting package has been carefully prepared for you by Wibu Operating Services and includes the CodeMeter License Central Internet which runs in the Wibu cloud. Our experienced team takes over responsibility for making sure the rules listed above are complied with. How can I customize WebDepot? 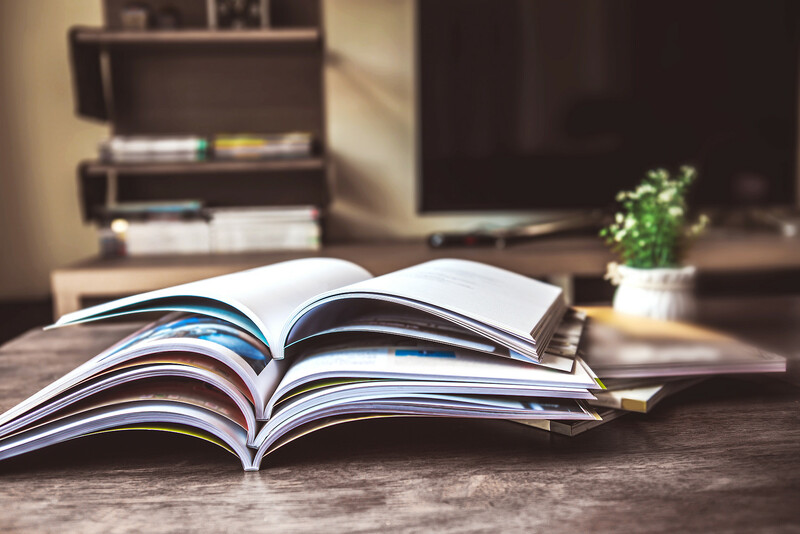 The user interface of the CodeMeter License Central has been designed for you, the software vendor, and no provisions have been made to allow you to adapt it to your corporate design. On the other hand, a web-based application designed for your customers should be given the look and feel of your company’s brand or image. This is exactly what WebDepot lets you do, albeit in a rather primitive way. You define your own styles in a CSS file and exchange the existing neutral images for the ones you want to use. WebDepot now uses your colors and fonts instead. You can further customize WebDepot to reflect your corporate image by swapping over the page header and footer. It is also possible to individually customize the text. All the text is stored in a separate language file making it as easy as possible for you to adapt them to your design. In principle, WebDepot provides support for any language. The standard version is shipped with an English and German language file. To add another language, all you need to do is make the corresponding changes to the configuration file and translate the language file into the language you require. WebDepot supports UTF8 encoding which means you can integrate any language you want. How can I integrate WebDepot and develop it further? A software vendor very often has his own portal for customers. 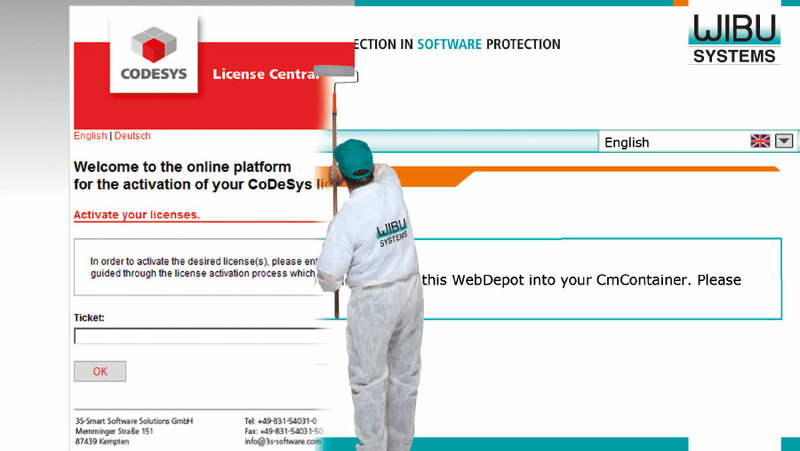 In this case there’s no reason why he shouldn’t integrate WebDepot into his existing portal. The software vendor can use WebDepot as an example of how to call the tomcat web services directly from within his portal, or he can even copy large chunks of the WebDepot code and paste them into his development project code. Another alternative is to use WebDepot and manage customer tickets in the customer portal. Instead of entering a ticket code, the customer logs into the customer portal. On selecting a ticket here, he is forwarded to the WebDepot where he can pick up the corresponding licenses. The possibilities for further developing WebDepot are numerous. Functions such as login, license return and license overview can be easily added to WebDepot.